Henceforth, I will refer to summer 2015 as The Summer Dave Grohl Toured The World In A Custom-Made Iron Throne/Made Lemonade Out Of A Broken Leg. 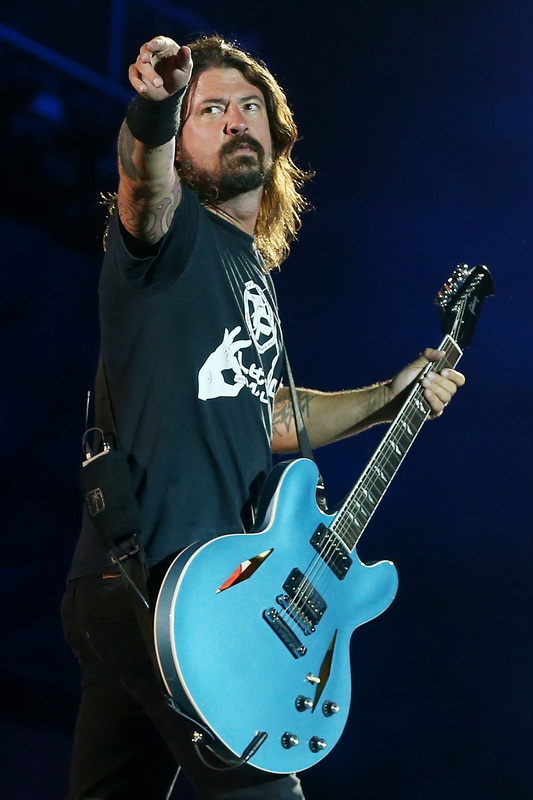 Back in June, Foo Fighters frontman/god among mortals Dave Grohl played an entire show after injuring one of his getaway sticks, and I have yet to stop talking about it. Well, the band has given me something new to yammer on about: Sunday night, the Foos brought Dr. Lew C. Schon, Grohl’s orthopedic surgeon, onstage during a concert in Boston. If the crowd thought they were about to hear an in-depth medical explanation of what happened to Grohl’s gam, the crowd thought wrong: Dr. Schon sang White Stripes song “Seven Nation Army” with the Foo Fighters (h/t Consequence of Sound). And when I say "sang," I mean "SAAAAAAAAAAANG." Dude crushed it. a) get nervous and sing the entire song in a whispery head voice.b) forget all of the lyrics.c) freak out mid-song and run offstage.d) swallow the microphone whole.e) give the performance 110%, nail the performance, bring the house down, et cetera.